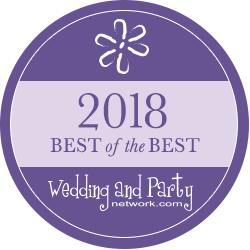 For the third consecutive year, Magnolia Manor Bed & Breakfast in Westminster, SC, has been recognized as a recipient of prestigious WeddingWire Couples Choice Awards for "Ceremony & Reception Venue Location," and the second consecutive year for "Rehearsal Dinner Location." 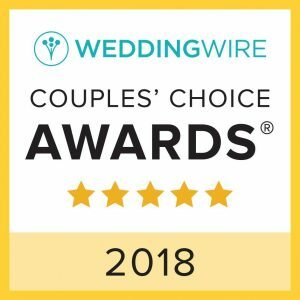 Our lead Florist, Joyce Collins of The Honey Tree, is also recognized as a Couples Choice Award Winner for wedding flowers for a second consecutive year! WeddingWire Inc. is the leading global online marketplace for the wedding industry, and annually recognizes the top five percent of wedding professionals on WeddingWire who demonstrate excellent service and professionalism. Solely based on reviews from newlyweds and their experiences working with them, Magnolia Manor and its stellar vendor team and event staff have been distinguished for the quality, quantity, consistency and timeliness of reviews they have received from their couples. For more information about Magnolia Manor Bed & Breakfast and how to book your all-inclusive wedding in Westminster, SC, call 864-647-8559 today.